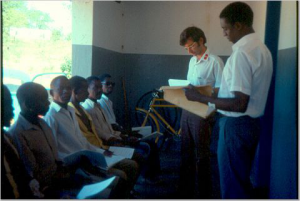 Involvement with people affected by leprosy was a consequence of work at Chikankata Hospital in the 1970s. The relationship went beyond that of doctor-patient as is seen in The March and People of the Way. In early retirement in the UK Paul returned to clinical medicine as a part-time physician in palliative care, based at Wisdom Hospice, Rochester. This provided opportunity to put into practice the principles of wholistic care, social inclusion and community health first discovered in listening to the experiences of people affected by leprosy in Zambia in the 1970s. It was during the 1980s that he promoted these concepts during ten years as The Salvation Army’s international medical. Somewhere Better blends some of these experiences. Finale conveys the experience of transition into a new role. Goodbye was written when he finally retired from clinical practice. Born out of the involvement with leprosy has come a 30-year relationship with The Leprosy Mission. TLM Logo reflects a tendency to look beyond the obvious and trying to find the fewest number of words to express fresh insight.